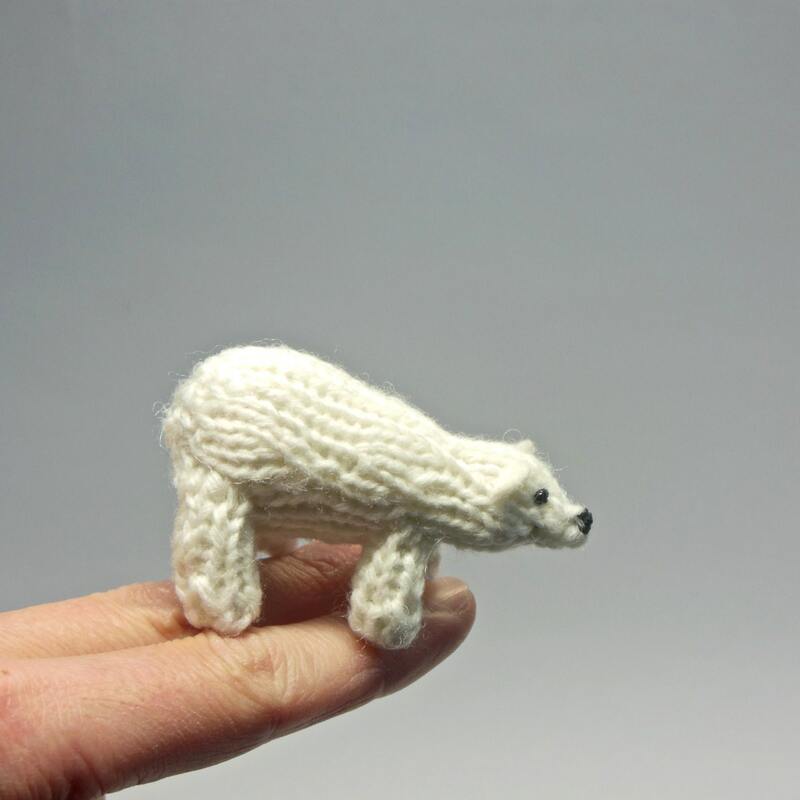 This miniature polar bear is is 2.5" / 6.5 centimeters in length. 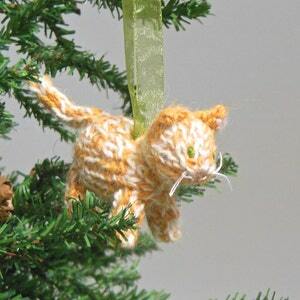 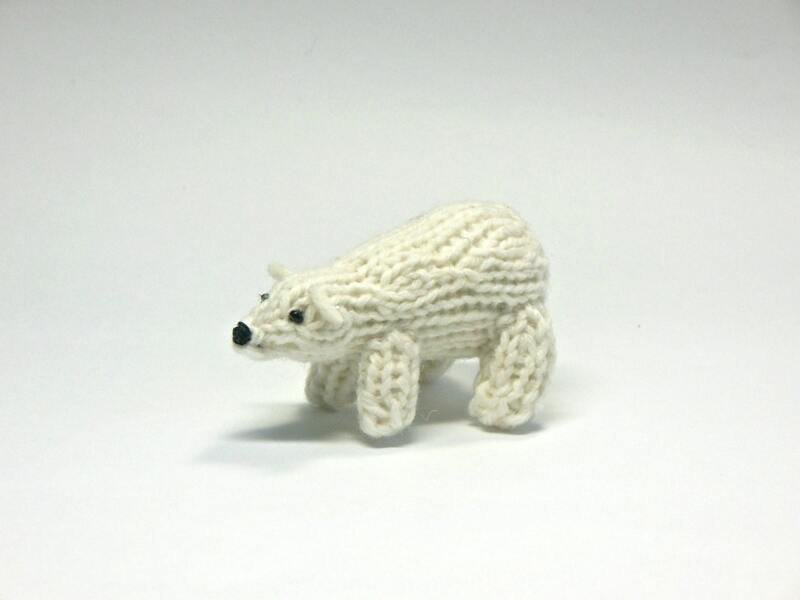 It is knit with tiny needles in an all wool yarn. 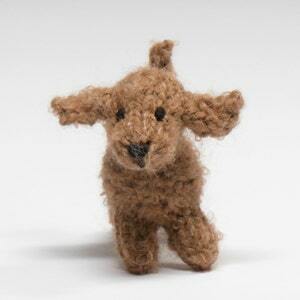 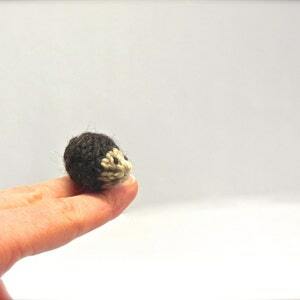 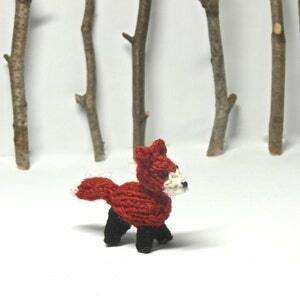 Its ears are wool felt and its eyes are made with seed beads. 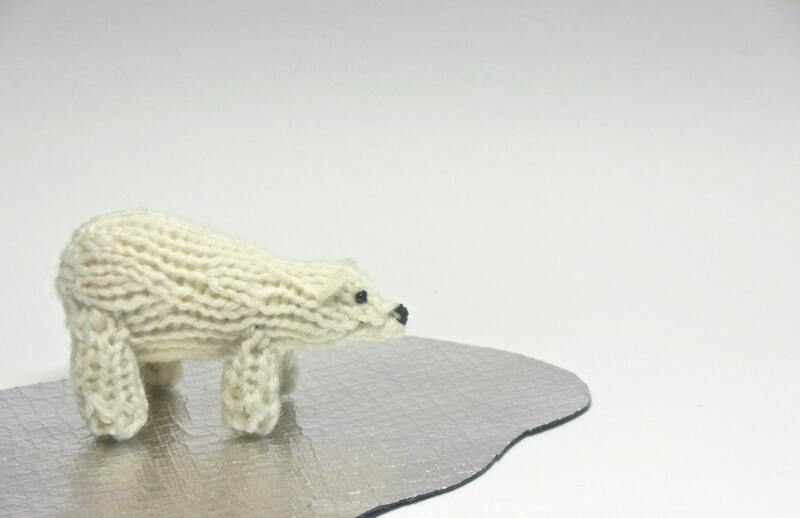 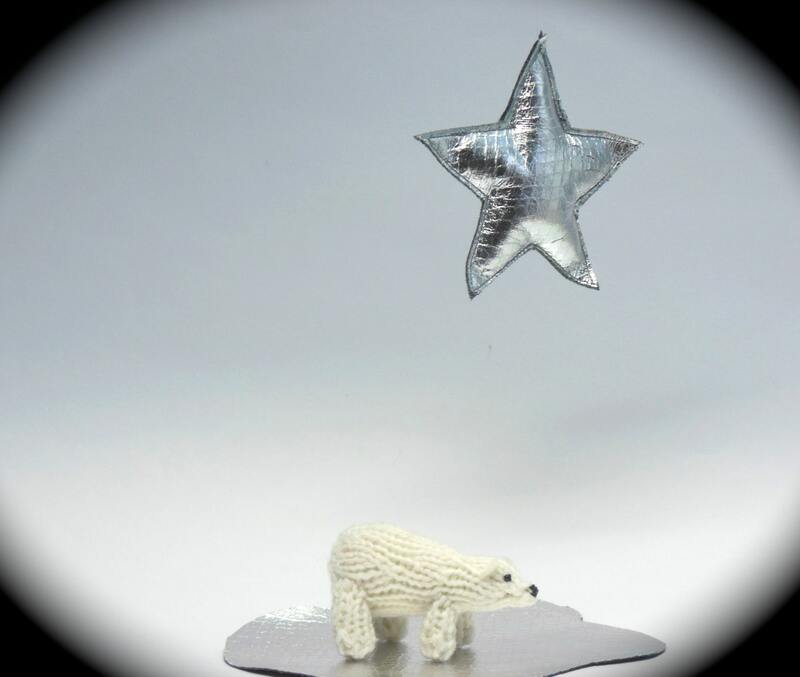 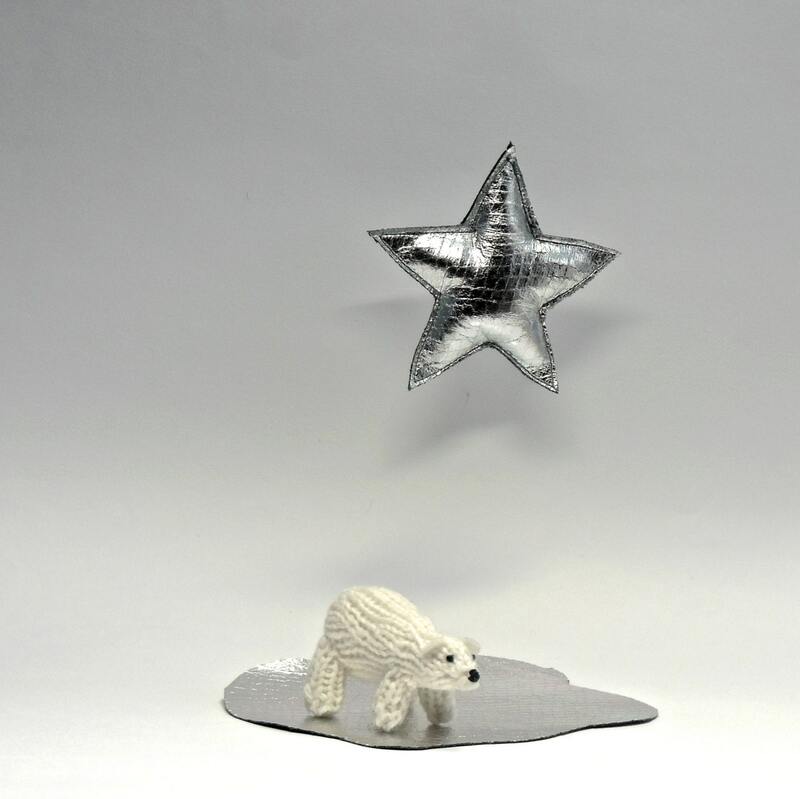 Perfect for display, miniature collections, and anyone who loves ad appreciates polar bears.